Delier-RY series laser tattoo equipment adopts the Q switch mode, which makes use of the instantaneous emitted laser to break the pigment in ill structure...That&apos;s the laser instantaneous emit theory: Centralized high energy emit suddenly, which makes laser of settled wave band instantaneously penetrate through cuticle to the ill structure in 6ns, and break the relevant pigments quickly. After absorbs the heat, the pigments swell and break down, some pigments ( in skin-deep cuticle ) fly off the body immediately, and other pigments ( deep structure ) break down then become the tiny granule can be licked up by the cell, digested and egest from the lymph sell. Then the pigments in ill structure lighten to disappear. 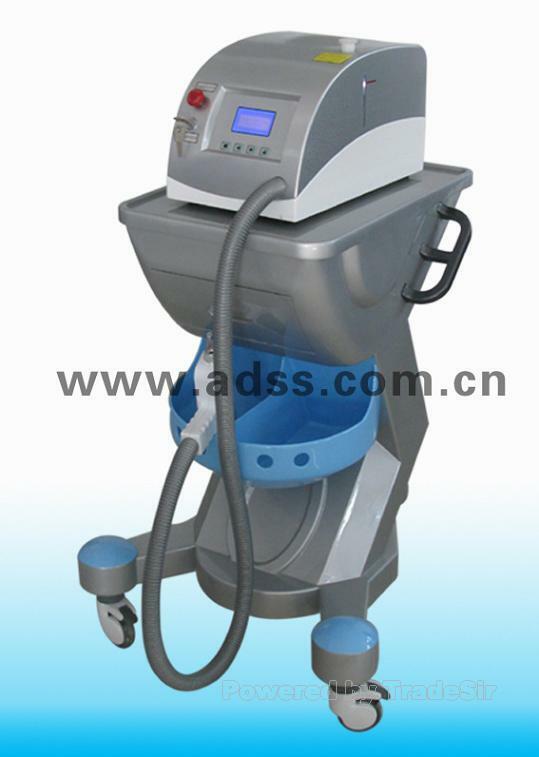 Moreover, the laser do not damage the around normal skin. 1) Tattoo removal: Can remove black, blue, brown and red tattoo pigments on eyebrow, eye line, lip line and other parts of body. 2) Age pigment, birthmark and naevi removal. 5) Water flow detection, automatically quit from workstation when the water flow is too low.